Great apartment in the east area with sea views. Near the center and the party area. Perfect for families with or without children. 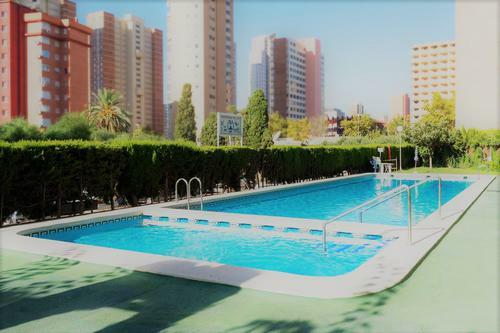 The urbanization has a swimming pool and has a parking space included in the price. It also has a garden area. 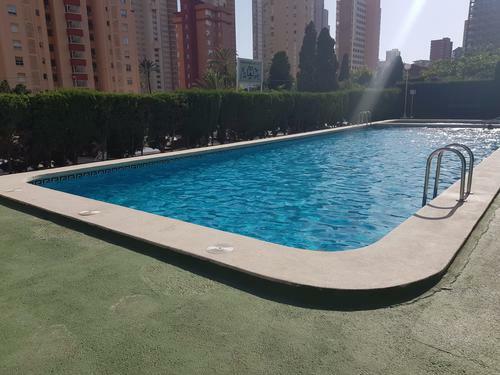 As a real estate agent and hosts of your stay in our apartment we can not guarantee the availability of all the facilities since the common areas of each development are beyond our direct control. The apartment has 2 bedrooms, with 1 double bed, 2 single beds and 1 sofa bed. The bathroom as always impeccable and the kitchen has a ceramic hob and oven. The terrace is closed and overlooks the city of Benidorm. The apartment has air conditioning.